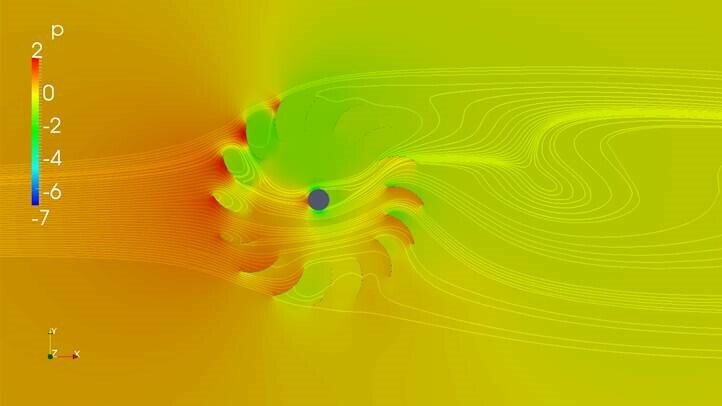 CFD is a numerical modelling technique that uses algorithms to solve the Navier-Stokes equations which define all manners of fluid flow. Using CFD at the design stage can result in valuable insights into fluid mechanics performance allowing the optimisation of geometry prior to manufacture of a physical prototype. The overall time and expense of product development can thereby be greatly reduced. We have extensive CFD capabilities, using high performance servers to carry out simulations. Typically our workflows involve the optimisation of conceptual designs through to the formulation and modelling of complete 3D structures. • Multiple degree of freedom models.